There is a wide variety of circumstances that could lead to a need for accessible kitchens or bathrooms in your Broward County home. Perhaps an in-law is coming to live with you that uses a walker. Maybe you or your spouse has started to use a wheelchair due to a longer-term injury or illness. If you require a kitchen or bathroom remodel with accessibility in mind, here are a few key improvements you should consider. Many smaller changes can be made to your home that doesn’t cost much in either dollars or time. Adjust light switch styles, and possibly their placement on the wall, if having them lower is better. Consider faucets with an extended handle for access from a chair—or even one that relies on motion rather than a handle at all. Install grab bars near the toilet or tub area to make movement easier and safer. Add a seat to the shower. This can be as simple as a standalone stool, or possibly a seat that folds down from the wall. Add a hand-held shower wand so that showering from a seated position is possible. If your accessibility-based situation is more long-term, you may consider some larger-scale upgrades. Doorways and walkways should be wide enough to accommodate mobility devices safely. Appliances and counters should be at a height comfortable for either sitting or standing. Switches are often placed behind the counter; consider moving them to eliminate reaching. Consider more accommodating bathroom elements, such as a roll-in shower or a walk-in bathtub. Check the floors for consistent flooring without rough transitions. 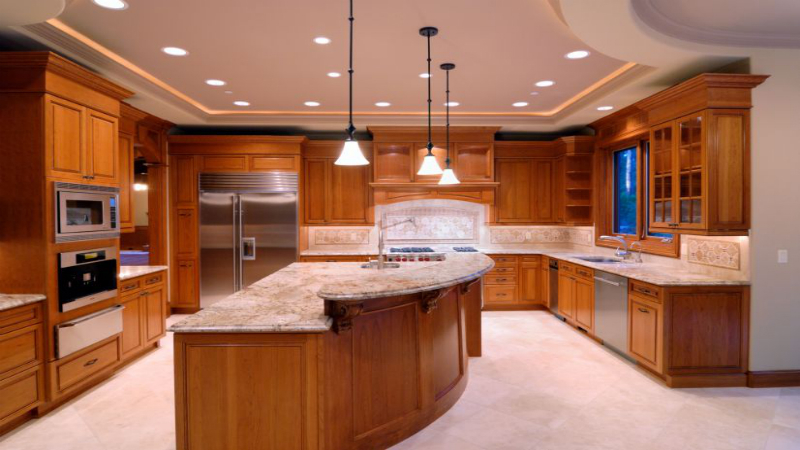 Whatever your situation, the pros at Siegel Design Group are ready to get your kitchen or bathroom remodeling project underway.